The BlackBerry Q10 is, some might say, the BlackBerry OS 10 device that the company should have led with, ahead of its all-touch Z10. That’s because it sports a hardware QWERTY keyboard, something that has become a unique distinction among top-tier smartphones these days. BlackBerry tells me they wanted to nail the all-touch experience first, in part to prove that they could, but based on my last few days with the Q10, this is the phone that’s more deserving of the “flagship” moniker for the new BlackBerry fleet. The BlackBerry Q10 is proof that a handset can take cues from the past and still be a modern, attractive device. The PVD-coateed metal border that frames the phone won’t scratch easily, as it’s the same treatment used on high-end watches. The carbon/glass composite back is extremely light, yet flexible and strong enough to handle spills, and since it’s created using a process through which it’s cut from a giant sheet and then formed instead of injection moulded, no two backs will have exactly the same pattern. It’s lighter and smaller than the Z10, feels better in the hand and looks miles better, too. BlackBerry hasn’t reinvented the wheel with the Q10; you might have already seen one in the wild and mistaken it for a Bold, in fact. But the small changes pay big dividends. Straightening the top row of the keyboard and dropping the trackpad and hardware buttons provided room for a display that’s 30 percent larger than any previous BlackBerry QWERTY, for example, and yet typing actually feels better because of wider keys and bigger frets between the rows. My complaints when it comes to hardware design are limited, but the back panel has a bit of play, and will shift around a bit even when it’s supposed to be firmly clicked into place. It’s a little disconcerting given the overall fit and finish, but also doesn’t reveal itself awesome enough to be anything more than a minor annoyance. The BlackBerry Q10’s display is unique among modern smartphones in that it isn’t gigantic. Quite the opposite, in fact: at 3.1-inches, it’s the smallest screen of any flagship-priced device currently available on the market. Yet it’s also 30 percent larger than any of its QWERTY BlackBerry predecessors. And it’s a SuperAMOLED display, which translates to very nice color rendering, deep blacks, and good battery conservation. Overall, the display really impresses. It displays images and video with crisp, vibrant colors, and BlackBerry has even gone out of its way to tweak some user interface and core app elements to take advantage of the excellent black rendering, which also leads to battery life savings. But the display has its own downsides, too. It isn’t quite as densely packed with pixels as some of its top-tier Android competitors, for instance, and I noticed that in certain outdoor lighting conditions, owing partly to glare and partly to a weak backlight (which doesn’t auto-adjust), it can be fairly hard to make out what’s on the screen. Side-by-side with an iPhone in bright outdoor settings, the iPhone wins easily, every time. That said, the display is usable outside, and works surprisingly well for viewing photos indoors. Text rendering isn’t quite as nice on the Q10 as on Z10, but I also didn’t notice the same problems with surface grime accumulation that affected my Z10 review unit, so there might be a better oleophobic coating on this one. The Q10 is largely the same in terms of built-in software as the Z10, so I won’t go into as much detail about every single feature of BlackBerry OS 10 (check out my Z10 review for more on that). But it is worth highlighting the changes BlackBerry has made that take advantage of the Q10’s hardware keyboard, and also the trade-offs that sometimes result from those changes. The home screen arrangement has been tweaked slightly to make room for three rows of apps, and the toolbar size has been reduced as well as labels have been removed. There are new tooltips, which is great because it provides a smoother onboarding process for BB10. 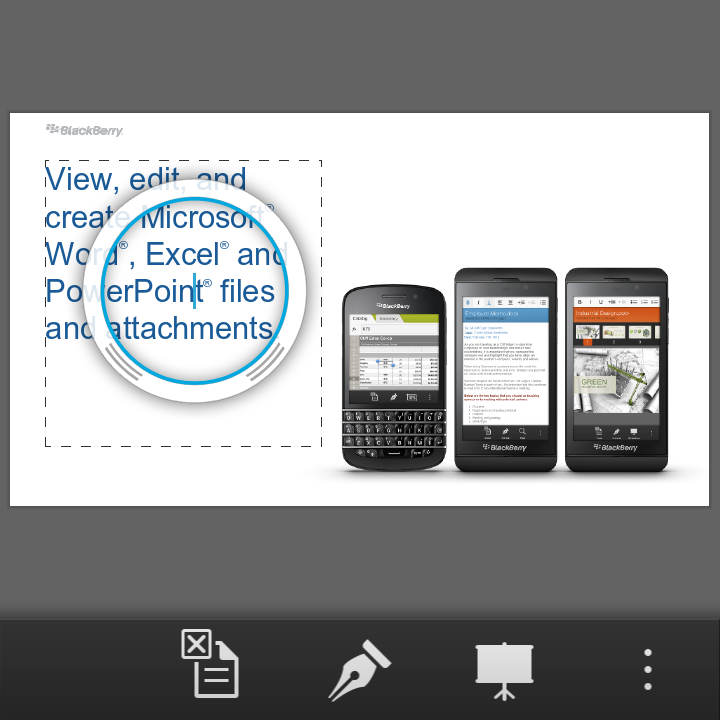 Text selection is made easier through refined cursor control, making it much less frustrating than it was on the Z10. Cut, copy and paste functions have been added to the dialer screen, and you can set account-specific notifications for incoming messages as well as change vibration and volume patterns for alerts for specific contacts. Overall, BlackBerry has done a good job of taking in early user feedback and using it to actually improve BB10 in the areas where it was most lacking. The Q10 boasts BlackBerry OS 10.1, an update which will make its way to the Z10 within the coming weeks, bringing the same improvements over to that side of the fence, including the improvements above and crucial bug fixes for issues like the lack of calendar syncing for Outlook users. But the really impressive software features of the Q10 focus on the keyboard. The Q10 keyboard is always present, so it makes sense to make use of it whenever possible. BlackBerry has done this by introducing Instant Action, which allows you to start typing and then execute a variety of commands, in a variety of apps. there’s a huge list of keyboard shortcuts, but some highlights include being able to BBM contacts, Tweet, send emails and more all without opening the relevant app, from no matter where you are in the OS. It’s a remarkable time saver, and a good example of why the hardware keyboard still has something to offer in a world dominated by touchscreen displays. 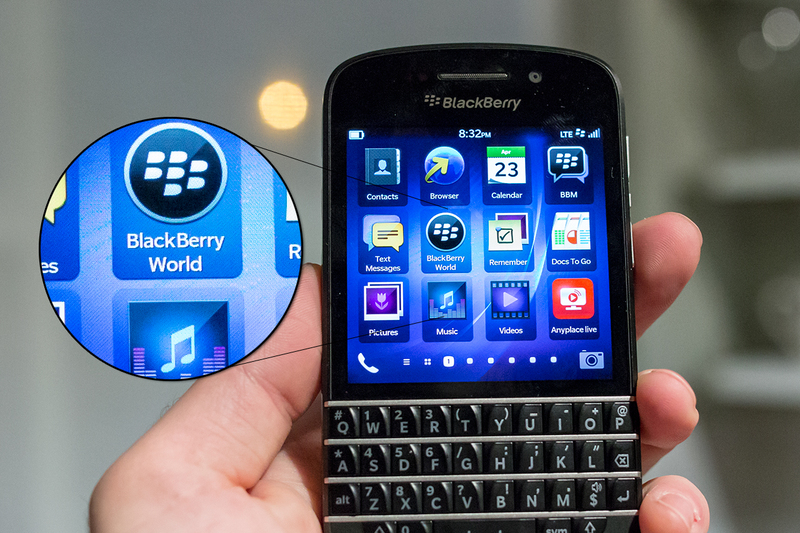 In general, software is improved, but since the Q10 uses the same touch-based gesture control as the Z10, but features a smaller bezel, it can be harder to execute Peek actions, or to navigate around the OS. Some improved sensitivity on the software side here would’ve helped the Q10’s software performance. The Q10’s camera is the same as the one found in the Z10, and as expected, performs in a very similar fashion. The big addition here is on the software side, since the Q10 with BlackBerry 10.1 now offers HDR. This is a feature that most OEMs have embraced lately, and also something I never find myself using on any mobile device. I’m also not a huge fan of it when used professionally by DSLR photographers. The addition isn’t hurting anything though, and will be welcome by those that appreciate it. Overall, the Q10’s camera is a solid performer. It won’t win any low-light awards, and that’s putting it lightly, but it can still manage to take some amazing shots, which look even more amazing with the slightly exaggerated color rendering of the OLED display. It also captures stills in 1:1 ratio by default to match the display, though you can set it to use either 16:9 or 4:3, too. Video is perfectly usable, too, and defaults to wide-screen capture. This is the one place where the Q10 doesn’t fare that much better than its counterpart the Z10. Despite the fact that BlackBerry has made a lot of noise about growing its own app marketplace to 100,000 titles, there still aren’t too many to write home about. Some big names have come on board, but crucial ones, like Netflix, Instagram and Vine, to name just a few, remain absent. The Q10’s app situation isn’t helped by the fact that it has such a unique screen size. The screen means that native BB10 apps have to be coded specifically to offer both Z10 and Q10 compatibility, which BlackBerry assures me is simple enough, but which still inevitably results in some fragmentation. Q10 users simply won’t see apps that aren’t designed for its display – unless they’re Android apps. Android ports still show up and can be downloaded and used. That’s a double-edged sword, however. I found performance to be unpredictable with Android ports; Songza, for instance, lacked its concierge feature when running on the Q10. Others had bizarre visual element distortions, and even when everything goes smoothly, it still requires scrolling through an interface designed to be viewed all at once. The Q10’s app situation is a reminder just how far BlackBerry has to go, and a signal that it will probably have a much more targeted audience than the general purpose Z10. Where the Z10 faltered with battery, the Q10 excels. BlackBerry claims that the Q10 can get up to 13.5 hours of 3G talk time, 354 hours standby time, 61 hours of audio playback or up to 9 hours of video. In testing video playback and solid browsing time, it managed to come just shy of that at around 8 hours continuous use, but the standby time is what’s really impressive. 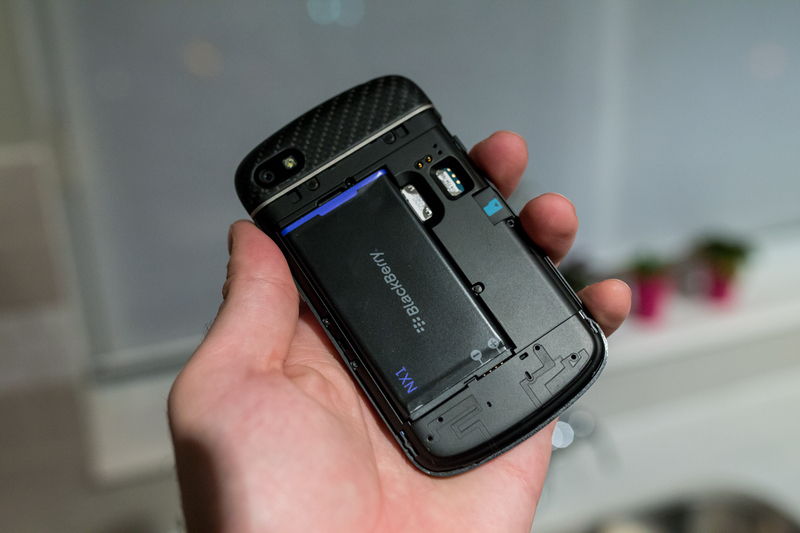 This phone sips power with the screen off when it’s in your pocket, harkening back to BlackBerrys of old. It isn’t quite as long-lived, but it’s still impressive for a modern smartphone. In actual usage, being neither extremely conservative or extremely power-hungry, the Q10 manages nearly two days of use in my testing, which is, again, very unusual for a smartphone. It boasts a larger 2100 mAh battery, compared to the Z10’s 1800 mAh unit. That means you can’t use the Z10’s external charger accessory to juice up the Q10’s battery, but BlackBerry offers the exact same device designed for the new phone’s battery, too. The BlackBerry Q10 is unique among smartphones, with its square display and hardware keyboard. And BlackBerry knows that it will appeal to a certain kind of consumer. What I found in using it, is that I actually gravitated towards tasks that were productive – zapping my inbox overload, typing up actual complete paragraphs for longer posts (I’ve never used another smartphone to do that), using the newly-ported Skype app to stay in touch with teammates. This is a business phone, and an unabashed one, and in a world where we often want our devices to do everything for us, a little focus is actually a very refreshing thing. That said, evaluate your priorities if you’re thinking about getting a Q10: the app situation is still dismal for BlackBerry 10, despite progress made since the official launch at the end of January. And the OS software itself still has some bugs, too: I experienced one black screen freeze that required a soft restart, and one issue where my cellular signal continually dropped until I turned cell traffic off and then on again. For those reasons, I still have trouble recommending it generally over the iPhone or a top-tier Android phone, if only because of the ecosystem that now surrounds those devices. But if you’re a BlackBerry lover, or if you long for the days when you could feel that keyboard under your fingers, the Q10 is very impressive device, especially from a company that more than a few people had completely counted out completely. The Q10 arrives in Canada and the U.K. first, beginning in early May (May 1st in Canada), with an expected rollout in the U.S. towards the end of May in the U.S. It’ll cost $199 on contract at Canadian carriers on a three-year agreement, and will run for $249 on a 2-year agreement in the U.S. That’s relatively steep, especially for a phone with 16GB of onboard storage, but I expect we’ll see discounts and special offers before too long, as we did with the Z10.